Leentvaar, C.C.W, & Oosterlee, C.W. (2008). 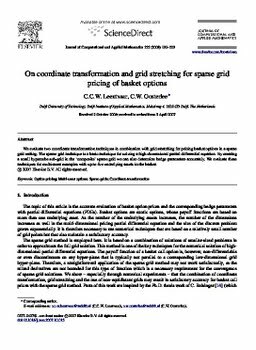 On coordinate transformation and grid stretching for sparse grid pricing of basket options. Journal of Computational and Applied Mathematics, 222, 193–209.